At the risk of declaring the understatement of the century, we'll throw the full weight of our agreement behind this notion: growing up in today's world is not easy. Teenagers face a never-ending onslaught of social pressures, family demands, and internal expectations - not to mention the countless biological changes that take place during the adolescent years. If you're a parent trying to help your teen navigate these challenges, you may at times wonder if there may be more going on that just the normal 'ups and downs' of teen life. That roller coaster of emotions and behaviors may have even brought you to a very pointed question: is my teenager depressed? 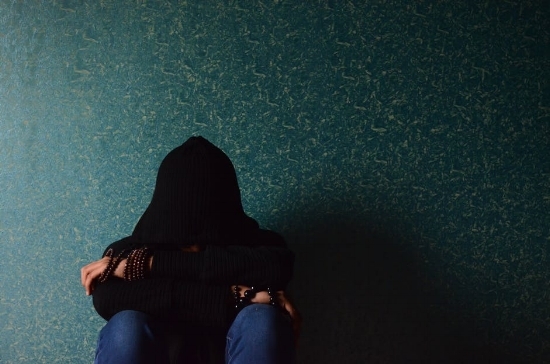 According to the National Institutes for Mental Health (NIMH), nearly three million adolescents age 12 to 17 in the U.S. had at least one major depressive episode in 2015 - a number that represented 12.5% of the adolescent population in the country - and a significant increase over previous years' statistics. Interestingly (and likely due to increased interpersonal pressures), it appears that girls are at a greater risk than their male counterparts. The cause for the increase? That question is certainly up for debate, but a recent study in Clinical Psychological Science found that increased time with electronic devices may be a contributing factor to the "uptick" in symptoms of depression among teens. Naturally, we cannot ignore environmental, genetic and even potential nutritional factors, but the overall statistics paint an alarming picture. Still, the more pressing concern is how you can tell whether your child is just sad or if there is a more pressing mental health concern. While there is no exact science, you should make yourself aware of the typical warning signs, and keep an eye on one very important element: time. If you notice depressive symptoms in your teenager that are chronic and persistent, it may be time to take action. The good news is that effective treatment is well within reach. An abundance of research reveals that cognitive behavioral therapy can be very effective in treating adolescent depression. The behavioral aspect of treatment emphasizes coping skills, interpersonal relationships, social interactivity. The cognitive side involves identify negative thought patterns and reversing distorted thinking. After the first 12 weeks, 71% percent of participants receiving the combination treatment showed significant improvement. Among the group receiving Prozac alone, 61% percent improved, and 44% of those who received CBT alone improved. As far as long-term benefit, the results remained consistent at 18 weeks and at 36 weeks. Combination treatment (medications and CBT) further outpaced the other treatments with 85% improvement at 18 weeks. Not sure about medication? Researchers in the study did note that "the response rate of CBT alone 'catches up' to the response rate of Prozac alone several weeks later and to the combination therapy several months later, but those few months in the life of an adolescent with depression can seem like a very long time." Overall, the study found that "combination treatment is the safest and most effective treatment overall for adolescents with depression." CBT is widely accepted as an effective talk therapy that can teach your teenager how to cope not only with the challenges of depression, but life in general. The process of setting practical goals, proactively participating in pleasant activities, and fighting off negative thinking can help your child to achieve an overall better lifestyle. Naturally, every adolescent is unique and there is no such thing as a "one-size-fits-all" solution. If you're the parent of teen who seems to be struggling with life more than usual, consult with a qualified clinician to have your teen evaluated in order to determine the best approach to treatment. Older PostInsomnia: Is Therapy Better Than Sleeping Pills?